Since the 1990s, North Korea has aggressively pursued development -- and importation -- of CNC mills, the ubiquitous makerspace staples that automatically machine complex forms out of blocks of metal, wood, plastic and other materials. These mills were critical to the development of the DPRK's nuclear arms program, allowing the totalitarian regime to circumvent international trade blockades by milling its own components in-house. The country hasn't kept this a secret, either. 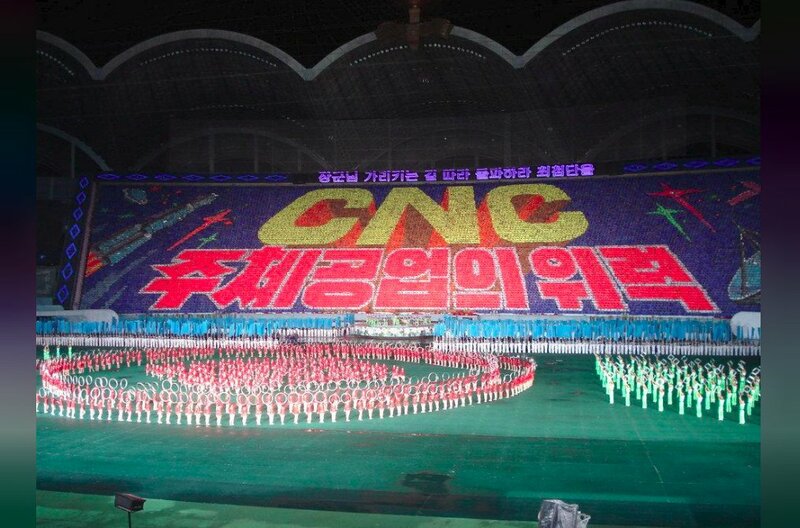 CNC mills are celebrated in patriotic songs and in huge national displays, like the above image from a mass games in Pyongyang. Although North Korea makes many of its own CNC mills, it also acquires them from foreign suppliers who swear they aren't knowingly violating the embargo, such as the Swiss engineering firm ABB ABB.UL.